Her project, “Injectable Biomimetic Scaffolds to Direct Stem Cell-Derived Cardiomyocyte Differentiation,” includes designing injectable biomaterial scaffolds, which are templates for cell attachment and tissue formation, an essential aspect of cardiac regeneration. In Lipke’s research, these scaffolds are used to guide stem cells into becoming cardiomyocytes, the contracting cells that make up cardiac muscle, millions of which die following a heart attack. Lipke’s research could offer improvements to tissue engineering strategies and provide insight to fundamental fields such as transport phenomena, electrical signal processing and developmental biology. As part of her CAREER plan, Lipke’s interdisciplinary project will include participation by health educators, such as cardiac nursing students, who are interested in cardiac regeneration research. Outside the lab, Lipke’s team will continue mentoring undergraduate researchers and partner with Auburn’s Youth Experience in Science, or YES, camps and Getting Under the Surface, or GUTS, programs to expand opportunities for K-12 students to foster their interest in science and engineering careers. Lipke joined the Auburn faculty in 2008. She earned her doctorate in chemical engineering from Rice University in 2005 and received a bachelor’s degree from Johns Hopkins University in 2000. 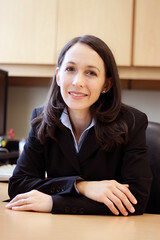 Lipke is the department’s third CAREER award recipient, following Mario Eden, department chair in chemical engineering, and Virginia Davis, the Sanders associate professor in chemical engineering, who received CAREER awards in 2006 and 2009, respectively.